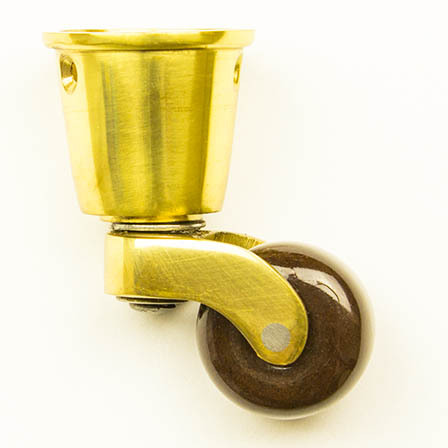 Brass Chair Castor Round Cup with 25mm Brown Ceramic Wheel is to be used with round timber legs on antique chairs and sofa's. 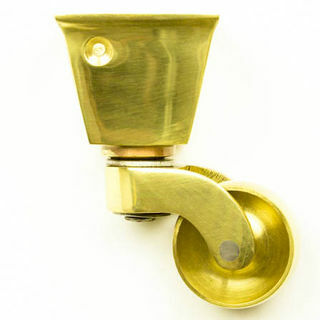 Made from solid brass each may show slight variations in finish to add authenticity to your furnishings. 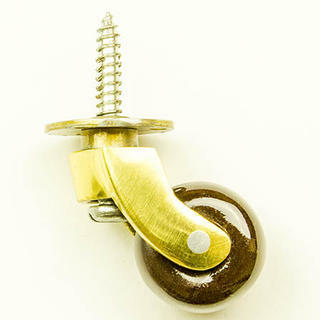 Click the heading link for more details including 4+ castor sets. 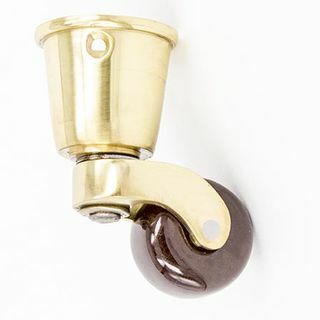 Round Cup wheeled castors are suitable as replacements for existing castors on traditional antique chairs, ottomans, sofa's, love seats and chaise-lounges. 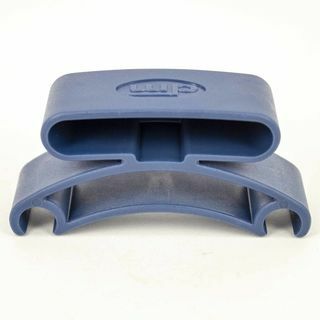 Suitable for use when wooden legs & mountings are incorporated into the design of the chair or sofa. 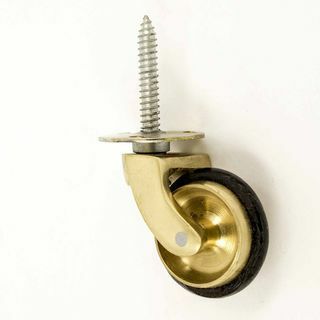 Some older style but newer furniture will benefit from the addition of wheeled castors particular when there is a desire to move them within the room. Three (3) main types of fittings are available. 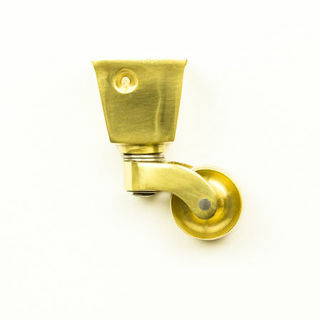 These are: Screw-In Plate Fixing, Round Cup fitting and Square Cup fitting.﻿ The correct version needs to be chosen. 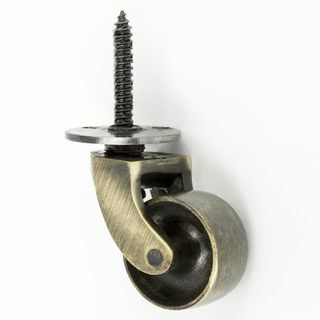 Each wheeled castor is carefully crafted but may show slight variations in finish to add character to your furnishings. 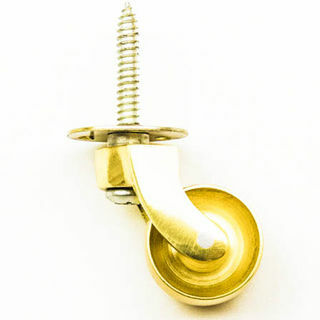 For Round Cup castors two brass plated locking screws are provided to help prevent the round cup from coming loose. 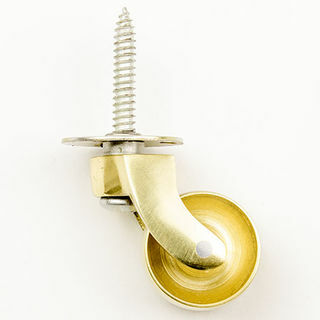 These screws are provided in good faith to assist and may not suit the thickness of the timber leg. 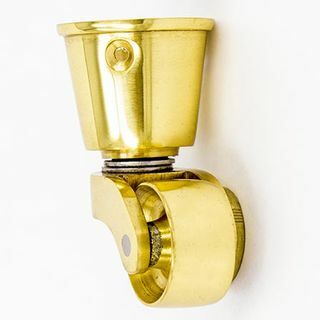 It is the responsibility of the user to ensure that any fittings used are suitable for the task. Furnacc cannot be responsible for the application of any product supplied.